Virginia’s 2014 Legislative Session ended up being quite dynamic, with a number of legislative victories. These changes will go into effect tomorrow – July 1, 2014. SB 228 (Bailey’s Law): This law requires pet stores to post information about the source of their dogs, including the breeders’ name, city, state and USDA license number. Additionally, SB 228 gives consumers a new remedy – for veterinary bills to care for a sick dog or cat purchased at a pet store, instead of being forced to return the animal to the pet store, or to absorb those costs if the purchaser kept the animal. SB 42 (Fox Penning): This long-anticipated law phases out existing fox pens and prohibit new pens from opening. HB 972 (Protective Orders): HB 972 authorizes courts to grant possession of a companion animal to protective order petitioners. SB 177 (Service Animals): This law expands the definition of “service dog” to be more in line with the federal definition, by including dogs trained to assist those with physical, sensory, intellectual, developmental, or mental disability, or mental illness. 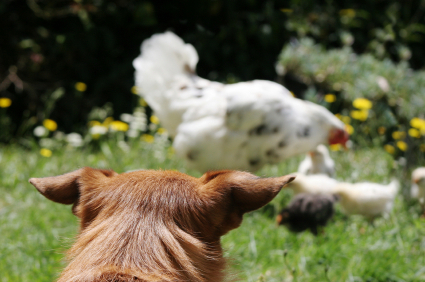 SB 432/HB 54 and HB 740 (Dogs and Fowl/Livestock): These bills addressed dogs who injure or kill livestock and fowl. Now, animal control officers will have the option of seizing the dog, instead of having no choice but to kill the dog. As a compromise, the bills bumped the cap for compensation to farmers from $400 to $750 per animal for livestock (but did not change the $10 compensation figure for fowl). SB 444 (Hybrids): SB 444 authorizes localities to prohibit residents from keeping dog-wolf hybrids by ordinance. Current law only authorizes a permitting system. This bill also changed the definition of “hybrid” slightly. HB 588 (Cemetery grounds): HB 588 allows cemeteries to devote a section of cemetery grounds to interment of human and pet remains. HB 1067 (Definitions): This bill amended some of the definitions in Virginia Code Section 3.2-6500, which will impact all releasing agencies in the Commonwealth. “Pounds” will no be called “public animal shelters,” and shelters will now be distinguished as either “public animal shelters” or “private animal shelters.” The definition of “public animal shelter” has been simplified to “a facility operated by the Commonwealth, or any locality, for the purpose of impounding or sheltering seized, stray, homeless, abandoned, or surrendered animals or a facility operated for the same purpose under a contract with any locality.” The definition for “private animal shelters” has not been changed. HB 212 (Motor Vehicles): This bill would have made it unlawful to drive while holding a companion animal. It was left In the House Transportation Committee. HB 1188 (Animal Fighting): This bill would have amended Virginia’s animal fighting statute (Virginia Code Section 3.2-6571) to prohibit charging admission or wagering money at a fight, and would also have prohibited putting a dog in a pen with a coyote or fox. The bill was left in the House Court of Justice Committee. SB 32 (Animal Abuser Registry): SB 32 would have required the Virginia State Police to create and maintain an animal abuser registry. This bill was continued to 2015 in the Finance Committee. SB 622 (Spay/Neuter Fund): This bill would have established a state Spay/Neuter Fund, with a $50/ton surcharge on pet food distributed in Virginia. It was continued to the 2015 Senate Agriculture, Conservation and Natural Resources Committee. Categories: Animal Behaviorists and Trainers, Animal Hospitals and Veterinarians, Breeders, Dog Walkers and Pet Sitters, Doggie Daycares, Boarders and Kennels, Groomers and Dog Washes, Pet Owners, Pet Stores, Bakeries and Retailers, Pounds, Animal Control Officers and Law Enforcement, Rescues and Shelters | Tags: legislation | Permalink. Reminder: VDACS Charitable Organization Form 102 Due May 15! 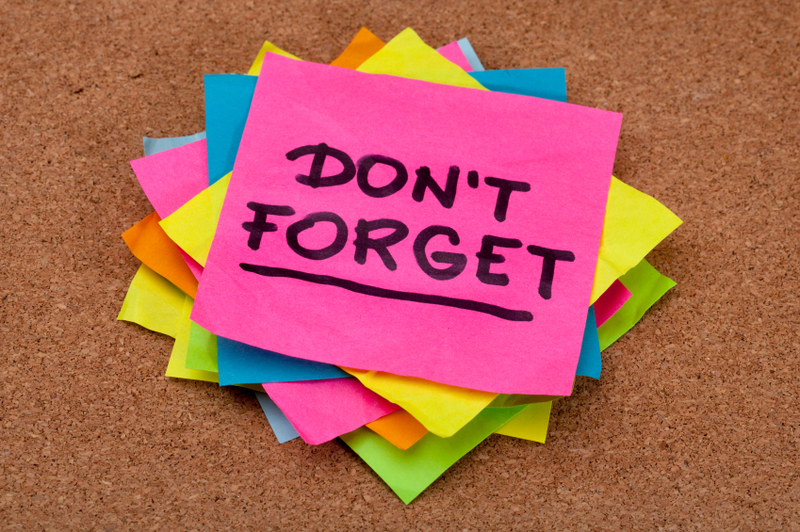 To all Virginia nonprofits, this is a reminder that May 15 is the deadline to renew your Form 102 with the Virginia Department of Agriculture and Consumer Services (VDACS) Office of Charitable and Regulatory Programs. Organizations that wish to solicit charitable funds in Virginia must register with VDACS. If you’ve already registered, you still need to renew your registration each year by May 15. Don’t forget to include an updated list of officers and directors, a copy of your 990, and any amendments to your bylaws or articles of organization. VDACS has a handy checklist for any other documents you might also need to include. You can get a copy of Form 102 on VDACS’ website. Categories: Pounds, Animal Control Officers and Law Enforcement, Rescues and Shelters | Tags: business entity, business licensing and registration requirements, protect your business | Permalink. The Maryland General Assembly’s Task Force appointed to address Tracey v. Solesky are working on a bill, and the General Assembly may have the opportunity to vote on the bill during an upcoming special session this month. 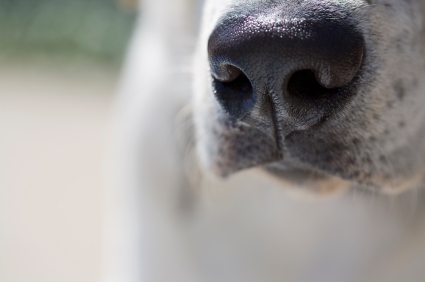 The bill is expected to impose liability on all dog owners, regardless of breed, but revert to the common law for landlords, imposing liability only if the landlord knows of the dog’s vicious propensities. In the meantime, the law remains as it was prior to the Tracey v. Solesky ruling. Delegate Heather Mizeur sent a request to the Maryland Attorney General regarding the status of the law while Ms. Tracey’s motion to reconsider is pending in the Maryland Court of Appeals. The Attorney General responded that Tracey v. Solesky is stayed and does not take effect until the Court takes up the motion to reconsider. Other jurisdictions are following Maryland closely, including right here in northern Virginia. For a more detailed look at the ruling and its impact for Virginia, don’t miss my article in NOVADog Magazine’s summer edition. You can also learn more by watching the current episode of The Pet Show with Dr. Katy, which features several interviews, including one with Libby Sherrill, the creator of the documentary Beyond the Myth. UPDATE (8/6/12): The American Bar Association’s House of Delegates just issued Resolution 100, promoting breed neutral legislation and proposing the elimination of breed bans and breed specific legislation. Categories: Animal Behaviorists and Trainers, Animal Hospitals and Veterinarians, Breeders, Dog Walkers and Pet Sitters, Doggie Daycares, Boarders and Kennels, Groomers and Dog Washes, Media, Pet Owners, Pounds, Animal Control Officers and Law Enforcement, Rescues and Shelters | Tags: breed specific legislation, dangerous dogs, dog bites, events, insurance, legislation, owner responsibility, publications and appearances | Permalink. Today, the U.S. Department of Agriculture’s Animal and Plant Health Inspection Service (APHIS) proposed a rule that redefines the definition of “retail pet store” under the Animal Welfare Act (AWA) in order to shut a loophole that has allowed retailers to sell animals “sight unseen” via the internet, by mail or over the phone. Initially passed in 1966, the AWA carved out retail pet stores, which would not be subject to USDA licensing and inspection requirements. The rationale for this carve-out was because the consumer had the opportunity to check an animal’s health and condition in person in the store before buying the animal. Technology has changed all of that, allowing retailers who use the internet, mail and phone sales to escape any kind of inspection by the consumer or the government. Under the proposed rule, a person who breeds more than four female dogs, cats and/or small exotic or wild mammals must open their doors either to the public or to APHIS inspectors, who will also require a license. This rule still doesn’t impact backyard breeders and traditional retail pet stores that sell directly to the public. State regulation governs those stores and breeders, but states have had mixed results with puppy mill legislation. When states have been able to pass puppy mill statutes, they are often fairly weak. For example, Virginia’s puppy mill statute only covers breeders who have at least 50 breeding dogs. The public will have 60 days from the time the proposed rule is published in the Federal Register to submit comments. In the meantime, here is a link to the proposed rule. Categories: Breeders, Pet Owners, Pet Stores, Bakeries and Retailers, Pounds, Animal Control Officers and Law Enforcement, Rescues and Shelters | Tags: animal rights, business licensing and registration requirements, legislation, owner responsibility, puppy mills | Permalink. The Maryland Animal Law Center will be hosting a public meeting on the fallout of the Solesky decision and what impact it has on pet care industry companies, rescues and owners. The meeting is this Sunday, May 6 from 2:00 to 4:00 at Coventry School for Dogs in Columbia, Maryland. This is a great opportunity to get up to speed on what impact the Solesky decision may have. Categories: Animal Behaviorists and Trainers, Animal Hospitals and Veterinarians, Breeders, Dog Walkers and Pet Sitters, Doggie Daycares, Boarders and Kennels, Groomers and Dog Washes, Media, Pet Owners, Pet Stores, Bakeries and Retailers, Pounds, Animal Control Officers and Law Enforcement, Rescues and Shelters | Tags: animal rights, breed specific legislation, dangerous dogs, dog bites, events, insurance, owner responsibility, protect your business | Permalink.